My basted-together Tiramisu muslin: So I think I chose the wrong cup size, huh? So I'm making the Cake Patterns Tiramisu dress (reprinting now and temporarily on presale for $12) in red and white stripes as part of my Spring Sewing Plan, but before I cut into my super-nice fabric, I figured I'd test it with some other leftover stripes from the stash. For variety, I decided to make it as a top, since I wasn't worried about fitting the skirt. I just extended the midriff down (too far down, I think). and shaped it out for the hips. 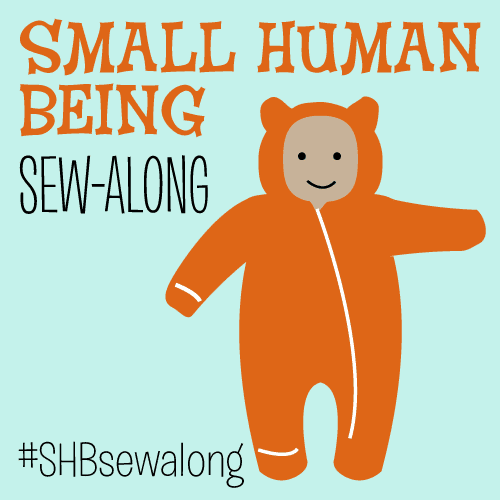 In sewing, it is always a perilous thing to ignore your actual measurements in favor of half-remembered or wishful thinking or denial measurements. Numbers and letters are just that. Now, back when I was pregnant, and then nursing, I got REALLY good at making extreme bust adjustments (for F, G, H and even at one point, I). But I recently weaned my daughter and I think I need to wake up to the new reality of more subtle E-cup bust roomage needs. But for the cup size I chose the D, which I now think was a mistake, since according to the cup size chart it creates a finished measurement of 39.5"... a whole inch of positive ease when I prefer at least an inch or two of negative ease. I think I'll recut the two front bodice pieces as the 35B, which should be a finished full bust measurement of 37" (1.5" negative ease) and should remove some of the front length, too. I was so careful with pattern matching when I cut the midriff pieces and the back bodice pieces but totally forgot about the shoulders. Oh well! I'll be more careful with the dress version. The length is bad—way too long. I'll chop at least a few inches off the bottom before I hem it. It is SO weird to be sewing from instructions that I designed (along with my husband). WEIRD. I remember drawing some of those diagrams and now I am following them! P.S. Update! Somehow despite being part of the Cake team, I missed Day 5 of the Tiramisu Sewalong series, which is completely dedicated to the issue of fitting the bodice of the Tiramisu and tuning up the underbust seam, with videos and step-by-step photos. So here it is! This is so weird. That's what my attempt at a stripy Tiramisu looked like when I first made it up. I can't tell you a good way to fix it, but I can tell you a not-so-good way. In my case, I tried to take off some of the bust length by pinning it down and sewing, basically taking up a larger seam allowance on the top with as little extra of a seam allowance on the waistband as possible. Unfortunately, while that did make the length better, it also made the overlap not as lapped as it should be. I ended up topstitching the neckline so I could stitch my bust layers together. What I'm trying to say is that you'll want to unpick before you take out the bust length. 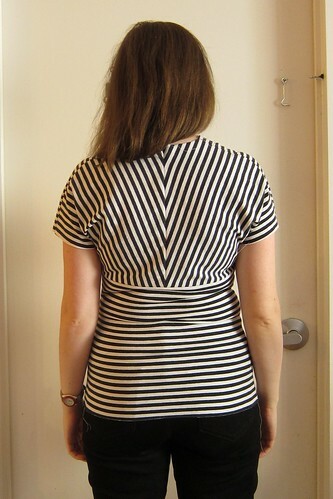 On the plus side, you have awesome stripe matching along the back chevron. I started with the same size (35D), but had much better luck with a 35B! A lot depends on the fabric too... the one I made with drapey rayon is still a big big, but the more stable knits fit snugly. Hope that helps! The opposite it happening at mine. I'm remaking a skirt (Colette Pattern Handbook's Meringue) that hasn't a chance in hell of fitting again. Thanks for the warning about the actual measurements. When I make mine I will put a little "snug" in it. Cut off the seam and then re-sew it. This will do everything you need it to do. It's interesting that we've has such different problems with this pattern, since you said in your comment that we have fairly similar measurements...just proof that people come in all kinds of shapes! 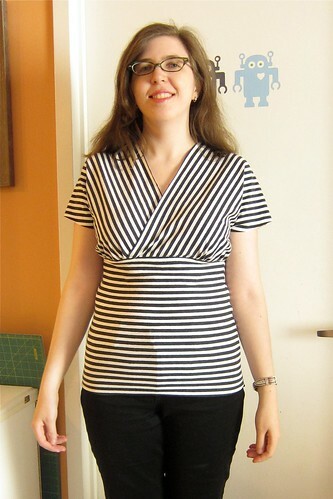 Mine was about right around the bust, but had all kinds of extra room in the shoulder area (photo). Of course I discovered that after mostly assembling everything (unwise!) so my modifications to make it fit were more than a little improvised. Next time I'll probably start with a 30D, and see if that's a better fit in the shoulders/arms. 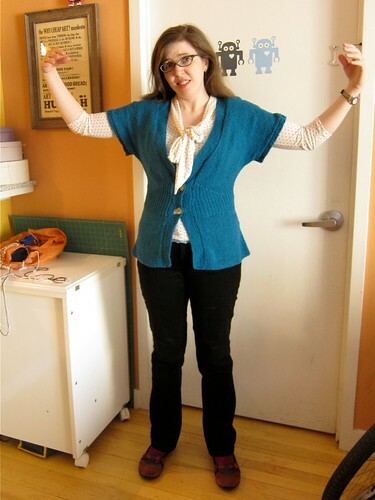 Some of it's also just fit preference - I tend to like things more snug in knit fabrics, even around the shoulders. Probably good to take this into account when picking sizes in the future. I'm curious to see where you go with this pattern!